Jesus! This is what I've been screaming about! The protracted, seemingly lasting forever development of the F-35 has caused the US and our allies foolish enough to buy it, to fall behind in the development curve. The Chinese are already flying the J-20. The Russians are soon to get the SU-57 ironed out and you can bet both planes will be exported heavily! 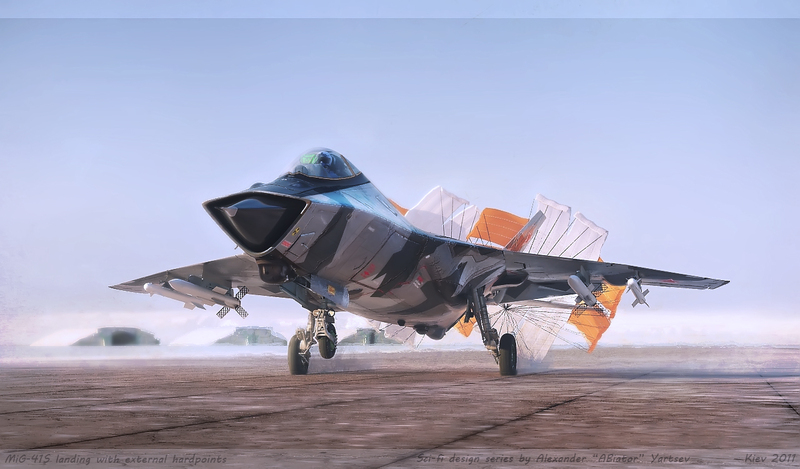 Now we hear the Russians are working on the Mig-41...a plane I thought was from the weird dreams of a krokodil user on the streets of Moscow!!! This is too much. Even worse? You can expect a continuing resolution this year due to Trump's shenanigans which means that you will see NO plus up in our defense budget. Dems are already feeling emboldened so that means if the defense is increased so will social programs which means we're looking at FLAT budgets not the hoped for increase. Unless we get our act together we're gonna fall behind. Remember when the SU-27 was first introduced and the West got a fighter shock? Remember when the Soviet Union fell and we got a look at the missiles from East German fighters and got another shock? Remember how we had a Super Hornet fire an AIM-9X at an outdated Syrian fighter and the missiles were spoofed by it's flares?